For those who want some fun and colour from your decor, we’ve just the lighting solution for you. Light up the night with a kitsch and whimsy Totoro light – the kids will love it! 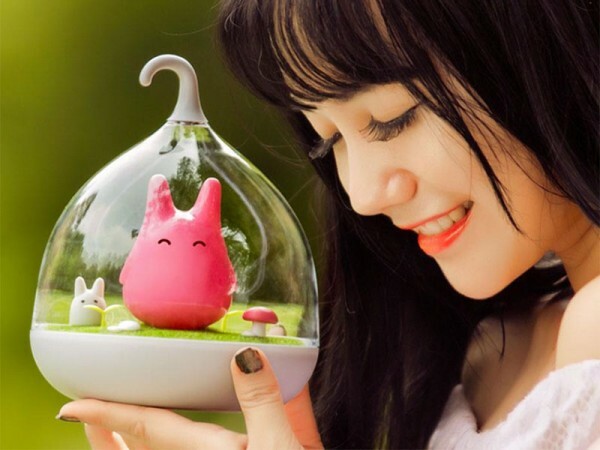 Spread a little Totoro magic in your nursery with this fun, terrarium like LED night light. Choose from a blue, pink, yellow or orange Totoro to proudly stand upon his grass patch complete with mini toadstool, rocks and friend. We know, the cute factor here slays us too. Each colour Totoro casts a beautiful glow upon your touch, creating just the right night time ambience for children to drift into sweet blissful sleep. The Totoro LED Night Light is priced US$30 and available from Trendy HQ.